We have some of the best hunting dogs in the world at Thunderstik Lodge but as they turn to middle age it can be hard for them to keep up. Long days of hunting are no longer an option for many of these wonderful labs but they have many years of companionship and great hunting left for someone like you to enjoy. We put thousands of dollars and many hours of training into these dogs at the beginning of their lives, giving you the opportunity to own a world class hunting dog, and more importantly, give a happy dog a great home! We realize that all dogs do not fit in some situations so if there is an unfortunate circumstance, and your adopted dog is not a fit, we will take dogs back within 90 daysof being adopted. If you have interest in adopting one of these wonderful dogs you can contact us about what dogs are available and we will do our best to match you up with a dog that fits. Fortunately, we have a limited amount of dogs every year who need to be adopted and we will not always be able to find a fit for every individual. We go through an evaluation process with each interested party and do our best to find the best home for the Thunderstik Lodge hunting retirees. Take a look below and see what dogs are waiting for you to adopt them. Great house dog and good hunter. Male Chocolate Lab – a little tired but great as a companion and short hunts for a few years. Black female lab. Probably done hunting but a great companion. Needs a home to retire in luxury. Check back after the 2017 Season about new retirees. It's hard predict which dogs will need to be retired, but we do have a couple that are likely to be ready for a luxurious retirement in some lucky home! We will have more as the seaon progresses so contact us and we will keep you updated. Chloe ADOPTED- Chloe is a great hunter and a very sweet dog but she was starting to slow down in 2014 so it's very likely that she will be ready for retirement after the 2015 season. She is about 10 years old and would be a great companion and hunting dog. Tucker - ADOPTED Tucker is a beautiful chocolate lab and he is only 7 years old. He's a great hunter but he is having some issues with his hips and we think there is a very good chance he will need to retire after the 2015 season. 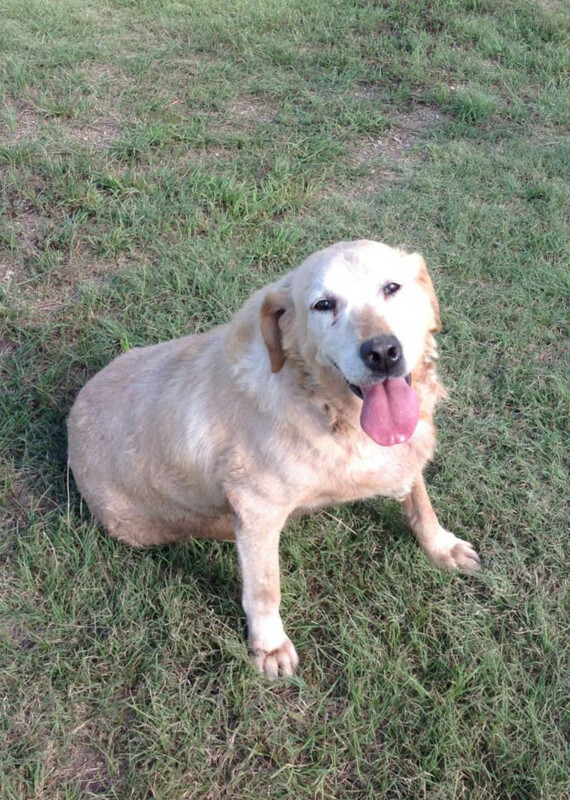 Sugar - ADOPTED - Sugar is a sweet blond female lab that should have a couple more years of some hunting left in her. Great for a house dog. Happy personality. She can hunt for a few more years. We have a couple of dogs that are not very pretty, and for a variety of reasons, these diamonds in the rough are not able to hunt anymore. They probably don't have much time left but they are sweet dogs and have plenty of affection to offer the right owner. Trooper - ADOPTED trooper is blind as a bat and therefore can't hunt and needs some help getting around. He is a very sweet dog and would be a great companion. Star - ADOPTED Star is sort of an ugly duckling. She needs some confidence and is not exactly a looker but with some love and affection she would be a great companion. Thanks to some very nice people we were able to send all of our retired dogs to wonderful homes this past year. Hopefully, 2015/2016 will be as successful. Indy is a 10 year old blonde lab and is very friendly and gentle. He loves to hunt but can no longer handle the rigors of a Thunderstik Lodge season so he needs a good home. He will be a great companion and is a great hunter. Casey is a 12 year old blonde golden lab. She is very happy and has a great personality. Casey has been one of the top hunters at Thunderstik for many years but time has taken its toll and Casey no longer has the stamina for the long hunting season. She still loves to hunt and will flush up birds for any hunter but she now needs a cozy home. If you have a canine athlete, we have the natural formula to keep your dog at the top of his game. Country Vet Naturals for High Performance Dogs is “dog fuel” for highly active dogs. And, because we know you don’t want corn, wheat or soy, we made Country Vet Naturals for High Performance Dogs without those fillers.